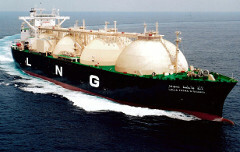 Rafe Mair Online » Blog Archive » Harper says LNG tankers too dangerous for East Coast, but OK for BC? Harper says LNG tankers too dangerous for East Coast, but OK for BC? I live on Howe Sound in lovely Lions Bay. I have lived my entire life in British Columbia, growing up in Vancouver and spending much of my boyhood on this lovely fjord. Howe Sound belongs to all of us. It had been all but destroyed by industry until 20 years ago when rehabilitation was started with the closing of mills and Britannia Mines. Thanks to the work of citizen/volunteers it was enormously successful. We now have the salmon runs dramatically increased, herring runs back to where they used to be, and killer whales, which were so prevalent when I was a boy but had all but disappeared, now going past my house regularly. The Fraser River estuary scarcely needs any introduction. Suffice it to say that this glorious river is the number one salmon habitat in the world and nowhere are these marvellous fish more vulnerable than in the estuary. The governments have all but approved 200 more or less tankers and barges carrying LNG into and out of this estuary. They intend to skip an environmental assessment altogether, yet, thanks to citizen efforts, have been inundated with demands for a proper public hearing. It is indeed bad enough that the National Energy Board has issued export licences for tankers travelling these routes, as ever-ignorant of British Columbia is fully in favour, but as you’ll see from the Wilderness Committee’s media release which follows, the feds took exactly the opposite position on the east coast! Suspicions confirmed! Ottawa does discriminate against BC. Because of this unbelievable turn of events, I wrote a letter to John Weston, our Tory MP. The Wilderness Committee is calling attention to the federal government’s double standards regarding the safety of LNG shipments along Canada’s coastline. The federal government has actively fought against the construction of an American LNG terminal known as the “Downeast LNG Project.” If constructed, this project would see LNG carrier ships pass through New Brunswick’s Head Harbour Passage. Canadian Ambassador to the United States Gary Doer has outlined Canada’s “strong concerns” around Downeast LNG in two letters to US regulators, pointing to the serious environmental, navigational and safety risks of the project. Contrarily in BC, American company WesPac Midstream was granted an export licence by Canada’s National Energy Board (NEB) on May 7th for its proposed LNG terminal on the Fraser River – a river that is home to one of the largest salmon runs in the world. The Canadian Environmental Assessment Agency (CEAA) is currently considering the need for an Environmental Assessment (EA) of the project. To date, no federal government representative has expressed concerns with sending up to 120 LNG tanker vessels annually into highly populated areas of Richmond and Delta, BC. The Wilderness Committee has produced a map detailing the public safety risk associated the WesPac project, identifying industry-defined LNG tanker “hazard zones” that would impact communities if a tanker on the route were to be ignited. There are three hazard zones – zone one posing the biggest threat to human life. “The federal government opposed Downeast LNG to protect what they called a ‘unique and highly productive marine ecosystem’ off the New Brunswick coast,” said Madden. “If they want to see a unique and productive ecosystem, they should come on over and check out the Fraser River.” The Wilderness Committee will continue to work to protect the Fraser River from all fossil fuel shipments. The organization will be calling on the federal government to conduct a cumulative impact assessment of the combined effects of coal, LNG, tar sands and aviation fuel projects proposed for this vital salmon river. Now, here is the letter I sent to John Weston both at his parliamentary address and personal address 10 days ago. I have not received a reply. Below you will find a release from the Wilderness Committee stating unequivocally that your government has banned LNG tankers on the East Coast while permitting them, indeed encouraging them, on the West Coast. They are banned on the Atlantic coast because they pose a serious danger. Evidently Mr. Harper doesn’t believe they pose the same danger on our coast. This is of particular interest to residents of your constituency. It is not a new story, having been broken originally by Eoin Finn and I have dealt with it in columns myself. 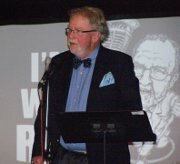 It is now, however, of immediate importance, since your government and the provincial government are bent on approving the Woodfibre LNG plant with consequent LNG tanker traffic down Howe Sound and have approved similar traffic on the Fraser River, one of the world’s most bountiful salmon rivers. It is my intention to write an article, for publication, a week tomorrow, stating categorically that the Conservative government, your government, actively and dangerously discriminates against the West Coast generally and the Howe Sound and Fraser River areas specifically. I don’t wish to do this without giving you the opportunity of refuting the obvious inference that this is accurate. I would be pleased to hear from you as soon as possible. Let’s look at what we are asking Mr. Weston to do. He’s been our Member of Parliament for eight years. His record in standing up for his constituents has been appalling. On the particular issue of Woodfibre LNG, Weston did not seek the opinions of his constituents – quite the opposite. He made it clear from the beginning that he couldn’t care less what we thought but that he was in favour of development, so was the prime minister, and that was that. Moreover he tried to throw his weight around and get the West Vancouver Council to change their minds from opposing this proposition to supporting it. He got a unanimous second prize from that doughty Council on that argument. Weston’s constituency includes the western part of West Vancouver, the Sea-to-Sky area, and the Sunshine Coast. The opposition to Woodfibre LNG is a very strong indeed. In fact, it’s difficult to find anyone who favours it other than the deceitful shills for Woodfibre LNG called Resource Works and so far as I can determine from reading their bumph and speeches, they’ve not told the truth on any material fact yet. (See previous columns). In yet another propaganda email recently issued to his followers, Resource Works’ spokesman Stewart Muir, amongst other things, called our group “well-funded”; whereas we’re a group of volunteers, spending our own time and money, with only the occasional help from fundraisers. I tell you this because this billion dollar enterprise, with its high-priced lackeys in Resource Works, not only “money whips” us but has the nerve to denigrate honest, decent, concerned citizens spending their own time and money standing against a huge company and two governments hand-in-glove with the corporate world. Incidentally, Muir was once a Vancouver Sun editor which to me, at any rate, explains a lot. Why do British Columbians deserve less? Let’s return to Mr. Weston. All we have asked our Member of Parliament to do is threefold: First, take all our concerns about Woodfibre LNG to the prime minister and the Government of Canada and let them know that there are thousands of decent British Columbians who want this project stopped. Ask the PM why he is dealing with a crook, a tax evader and despoiler of tropical forests nonpareil. Ask the PM to google Woodfibre owner Sukanto Tanoto and follow the links to the Guardian Newspaper and thereon and tell us why he is to be our partner. Secondly, ask Mr. Harper why he is uncaring about residents in allowing LNG tanker traffic through Howe Sound and the Fraser River where irrefutable scientific evidence makes it clear that both are far too dangerous. Both the Wilderness Committee and ourselves can provide charts. In the case of Howe Sound, in transit to the ocean, LNG tankers from Squamish would pass within unsafe distances from the populations of West Vancouver Lions Bay and Bowen Island. All 6 Municipal Councils around the Sound have passed motions objecting to the Woodfibre LNG proposal. Thirdly, now that the government has essentially made its decision, we have asked Mr. Weston to explain to us, on behalf of the government of Canada, why there is one rule for Atlantic Canada and another one for British Columbia. Surely, being an MP is more than chasing down missing pension checks or seeing that constituents have a tour of Parliament when visiting Ottawa. In essence, Weston is receiving some $175,000 per year not to consult his constituents, not take their concerns to the prime minister and cabinet to demand answers on our behalf, not to support the municipal councils in his riding, and not to give a damn about anything except his own reelection. To put it bluntly, Woodfibre LNG affects every person living in his constituency. We have, on clear scientific evidence, excellent reason to worry about the lives and safety of our families. Surely to God, what I have said above, which I believe would be endorsed by a large majority of Weston’s constituents, is not too much to ask of a man highly paid to be the liaison between the peasants their political masters. John Weston will, in my opinion, be slaughtered in the next election, but of what consolation is that if the pall of impending disaster remains? As I have written here recently, our path to safety for our families and communities is civil disobedience and that is what the uncaring bastards will have.